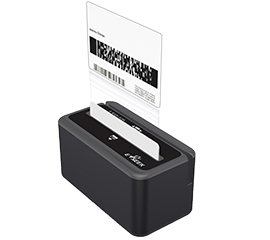 The Model M260 incorporates a magnetic stripe reader with advanced technology 2D barcode reading capability. 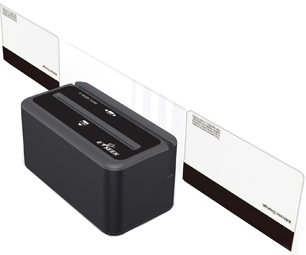 It can read any government issued ID card with magnetic stripe information and/or 2D barcodes. 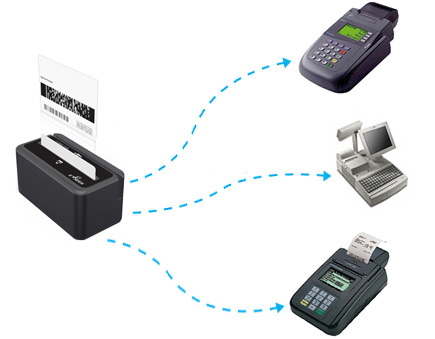 This creates a reliable and affordable business solution for Age Verification and transaction processing. 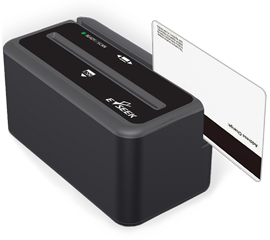 The data is also transferred to the host device via a standard USB interface or RS-232 serial port. In addition to the standard side access cable interface connector, the Model M260 has incorporated a bottom mounted interface connector, making it an ideal solution for kiosk application environments.